Japan’s SoftBank wants to buy some or all of Line, a wildly popular messaging app, Bloomberg reports. Line, which is based in Japan but is owned by South Korea’s Naver Corporation, has 360 million users worldwide, most of them in East Asia. In 2013, Line’s full year revenues were $335 million, making it the highest for any non-game app in both Google and Apple app stores, according to App Annie, an analytics firm. WhatsApp, which Facebook bought last week for $19 billion, came in ninth on App Annie’s list. Earlier this month, Line reported earnings of ¥12.2 billion ($120 million) for the fourth quarter of 2013, up 550% over the previous year. All of which makes Line an obviously attractive target, especially coming in the wake of two big messaging app deals in the past two weeks; Rakuten, another Japanese firm, acquired Viber on Valentine’s Day this year for what now seems like a bargain-basement price of $900 million. And then there’s Facebook’s $19 billion WhatsApp buy. BNP Paribas estimates that Line could be valued as high as $14.9 billion. Yet Line is nothing like the two messaging apps that have gone before. The key feature of Viber, used by some 300 million people, is that it facilitates free phone calls, much like Skype. People rarely use it to send messages. WhatsApp’s focus has been entirely on making a simple, uncluttered app for people to send messages to friends and family. At least one other company has also shown an interest in acquiring a stake in Line, which is also reported to be planning an IPO. 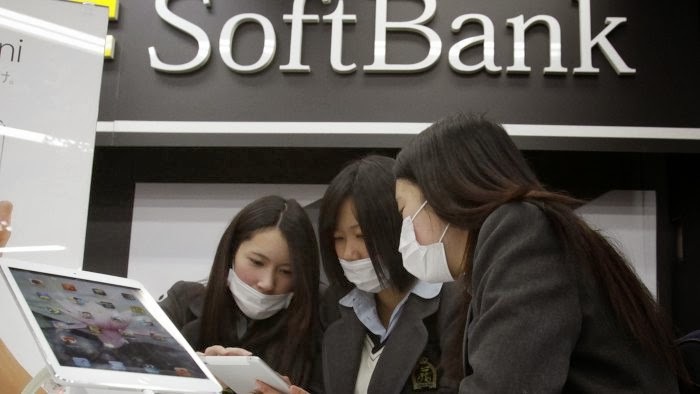 Line denied talks with SoftBank. ”There’s no reason to sell a stake and no plan to sell,” a spokesperson told Reuters. With messaging apps in high demand at the moment, Line can afford to be pricey.